A tiny, ice-encrusted ocean world orbiting Saturn is now a hotter-than-ever candidate for potential life. NASA's Cassini spacecraft has detected hydrogen molecules in the geysers shooting off the moon Enceladus, possibly the result of deep-sea chemical reactions between water and rock that could spark microbial life, scientists announced Thursday. NASA and others are quick to point out this latest discovery does not mean there's life on Enceladus (ehn-SEHL'-uh-duhs), but that there may be conditions favorable for life. 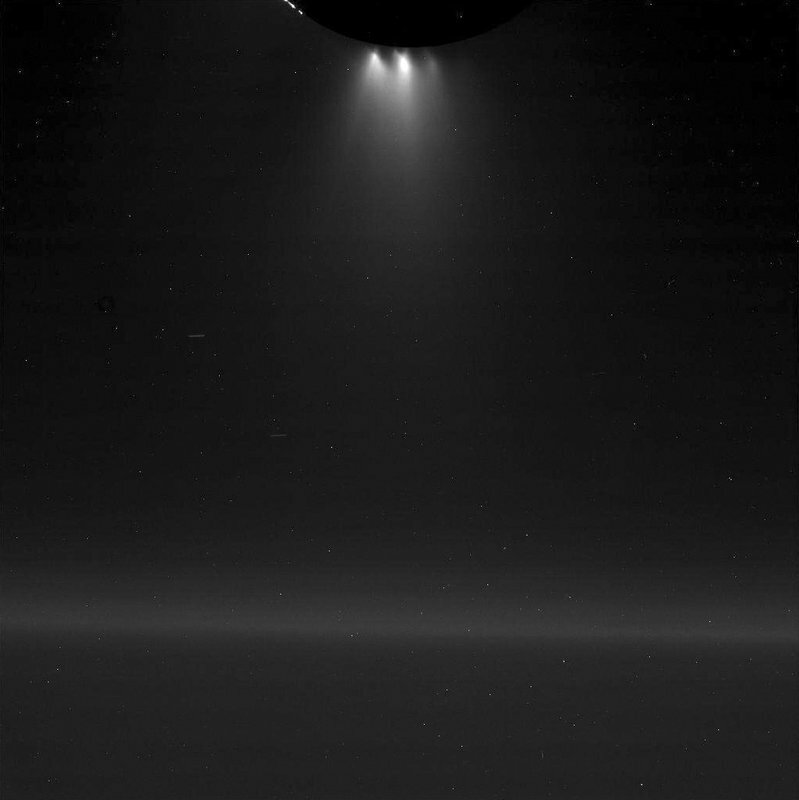 A liquid ocean exists beneath the icy surface of Enceladus, which is barely 300 miles (500 kilometers) across. Scientists have long known about the plumes of water vapor spewing from cracks at the moon's south pole, thanks to Cassini . The heavy presence of hydrogen suggests chemical reactions between the warm water and ocean-floor rock that could support life. "It really represents a capstone finding for the mission," said Cassini's project scientist, Linda Spilker, noting that the spacecraft has been circling Saturn for more than a decade. 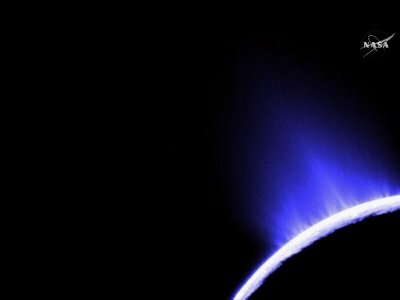 "We now know that Enceladus has almost all of the ingredients that you would need to support life as we know it on Earth," she said at a NASA news conference. A press conference viewer, asking questions of the scientists via Twitter, asked if NASA was talking about bacteria or algae - or giant squids. "Most of us would be excited with any life," said Mary Voytek, an astrobiology senior scientist for NASA. "We're going to start with bacteria and, if we get lucky, maybe there's something that's larger." 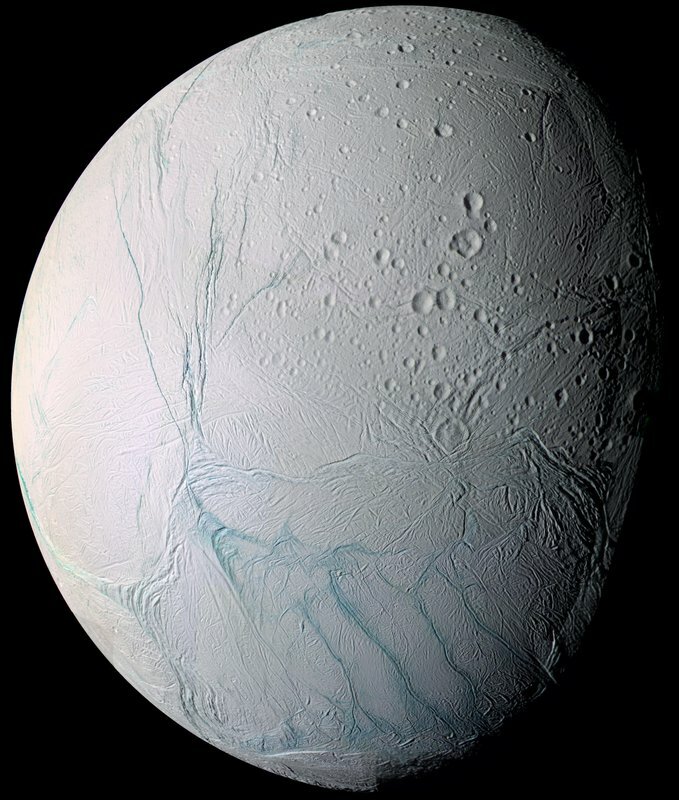 While questions remain, Thursday's news represents "an important advance in assessing the habitability of Enceladus," Woods Hole Oceanographic Institution's Jeffrey Seewald wrote in a companion article. "We still have a long way to go in our understanding," said Seewald, who was not involved in the study. "Future missions to explore oceans beyond Earth will answer many of these questions." This Wednesday, Oct. 28, 2015 image provided by NASA shows plumes of gas and dust-sized icy particles, top, emerging from the southern region of Saturn's moon Enceladus as the Cassini spacecraft made a close flyby of the icy moon. 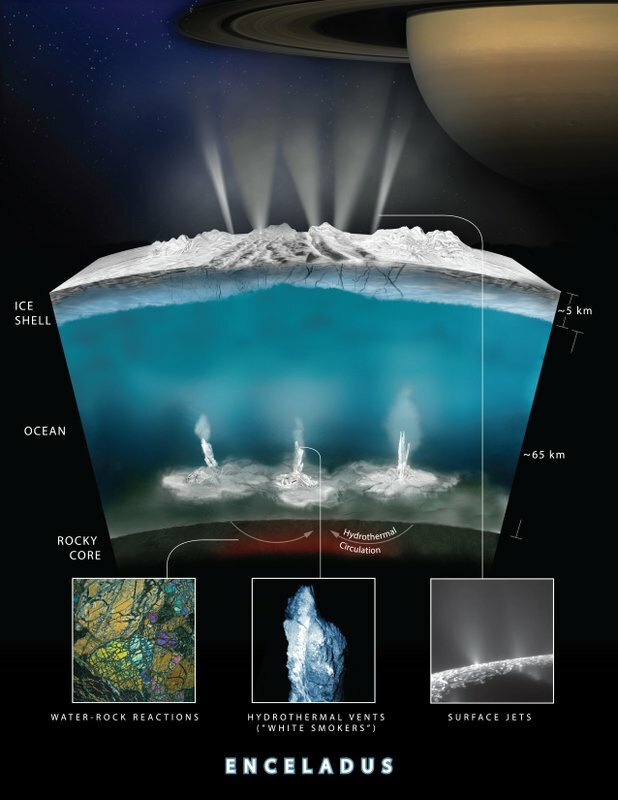 NASA's Cassini spacecraft has detected hydrogen molecules in the geysers shooting off the ice-encrusted ocean world, possibly the result of deep-sea chemical reactions between water and rock that could spark microbial life, according to findings announced Thursday, April 13, 2017 in the journal Science.